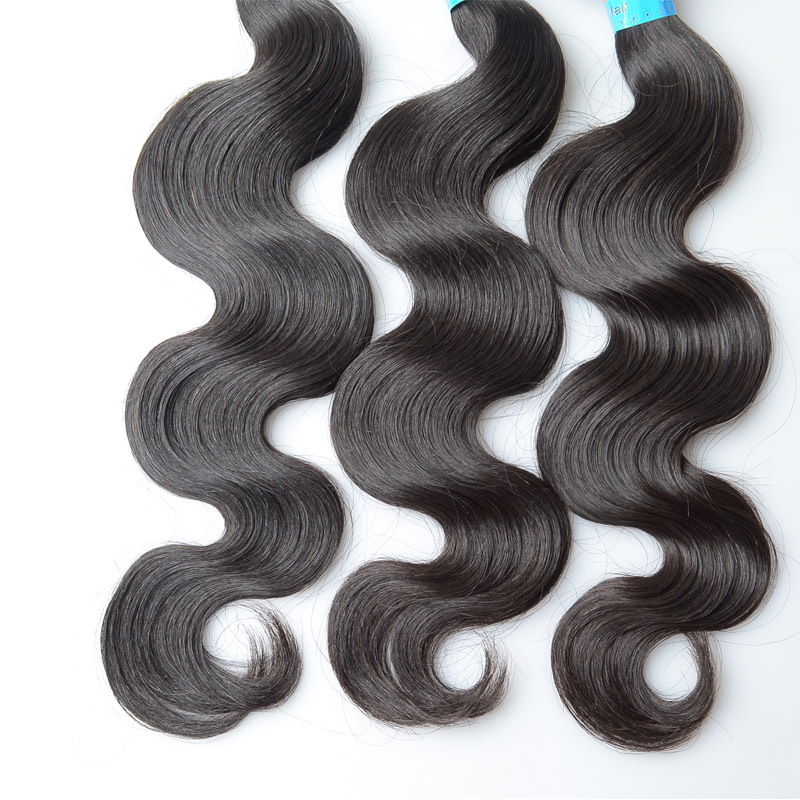 Below are questions we frequently receive about Brazilian Virgin Hair extensions, including hair extensions, proper care and use of hair extensions, application of hair extensions, and how to buy hair extensions online. If your question does not appear below or is not satisfactorily answered, please contact us. 4. What materials comprise hair extensions? 5. What is the difference between synthetic and human hair extensions? Hair extensions made from human hair can be dyed, curled, heated, styled, washed, and treated like natural hair. Hair extensions made from synthetic hair are sensitive to the sun, don’t last as long as human hair, are temperamental to styling, and cannot blend in as well with your real hair. For the few extra dollars, human hair extensions are a good investment. By the way,human hair has natural protein .It is easy to tell by burning and smell : human hair will be ash , which will go away after pinching.brazilian virgin hair will smell foul . When burning , the human hair will show white smoke.While synthetic hair will be a sticky ball after burning and will show black smoke.weft hair extensions.Moreover, human hair may have very few gray hair and split ends. It is normal and not a quality problem. 6. Are cheap hair extensions worth buying? Let’s define cheap hair extensions: If “cheap” means “affordable”, ITL hair extensions are “cheap”, made from the finest human hair and competitively priced. If “cheap hair extensions” are those made from synthetic or low-grade human hair, these are not worth buying. 7. Are ITL hair extensions made from 100% human hair? Absolutely! ITL hair extensions are made from the finest 100% Remy human hair. Soft to touch and silky in appearance, our hair extensions are completely natural looking so no one will ever suspect they exist! 8. Who can wear hair extensions? While hair extensions are safe for men, women, and children. For women who want to dress up and have fun, the clip in hair extensions, which are easy to remove and easy to change, are the best option. 9. When should hair extensions be worn? 10. How do you affix hair extensions? 11. Are hair extensions permanent or temporary? 12.Why are my hair extensions getting tangled? It could be caused by dry hair. Pls make sure to wash & condition your hair at least once a week, twice a week is better. brazilian virgin hair Comb the hair from time to time. You could go to your stylist for further suggestions. 13. Why the colors of hair extensions don`t seems exactly as the pictures show or description says? Different monitor have different displays. The same color number may have a little color difference. You could dye the brazilian virgin hair if you need different colour. 14.How brush the lace frontal closure? For lace closure, it’s handmade, and it may have some untied hair mix in after slightly pull it will be better, and do not brush your hair vigorously, please be tender. Then Please use the big wide tooth comb to brush hair,not use the small tooth. 15. Can I color hair extensions? Yes. Hair extensions have already undergone a chemical process and are designed to accept color change. You might want to test the color on a few strands first to make sure the resulting shade is what you anticipate. We also recommend using a semi permanent color as it is much more gentle on the hair extensions.Colouring by yourself will take a risk of not coming out the shade you want. If you can’t get to a salon, please always use a good quality products and test a small sample first. 16. Can I straighten hair extensions? Yes. You can straighten, blow-dry, curl, and style the human hair extensions, just as you would your own hair. However, don’t do it too frequently, or the heat will make the hair easily get dry and tangled. 17. Can I swim with hair extensions? Surf’s up! Go swimming, dance, jog, and live your life as you normally would with ITL hair extensions. 18. What products can be used on hair extensions? 19. How long will hair extensions last? 20. How long does my hair have to be to wear hair extensions? Your hair does not have to be very long to enjoy the beauty of wearing hair extensions. We’ve seen hair extensions applied to hair as short as 3” in length but recommend starting lengths of at least 10” for best results.